The country’s power generation could go down by 250 megawatts if the Jubilee Partners’ scheduled shutdown of the Floating, Production Storage and Offtake vessel, FPSO Kwame Nkrumah, for planned maintenance is done on March 20. 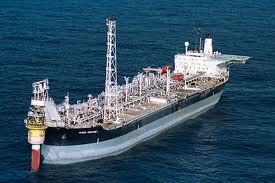 The maintenance works which would be undertaken on key equipment of the FPSO would last for 14 days. A statement issued by the Jubilee Partners last Tuesday said, “This shutdown is essential to ensure the ongoing reliability and integrity of the FPSO. “To ensure safety, and in line with standard industry practice, there will be no oil or gas production from the Jubilee Field during the 14-day period,” it added. It allayed any fears that the planned shutdown would impact negatively on the projected average production for the year. The last major shutdown of the FPSO for maintenance was done in September 2013. The shutdown means that the Volta River Authority’s (VRA’s) plants which run on gas from Atuabo would have to be run on crude. The AMERI plants, which have 250MW capacity and operate solely on gas, would have to wait for the resumption of gas supply before they can be operated. The statement explained that since the country’s oil has the associated gas, the platform’s ability to produce effectively is related to its ability to export gas to the shore for processing. The current challenge is the inability of the operators and offtaker of the gas to plan their maintenance and have it done simultaneously. In January, this year, Ghana Gas, the operators of the onshore gas plant, shut it down for planned maintenance but a source said if future shutdowns were not well coordinated, it would create problems for power supply. When contacted, the Chief Executive Officer of the Ghana National Gas Company (Ghana Gas), Dr George Adja-Sipa Yankey, confirmed the planned shutdown and spoke about the need for a coordinated front in future. He explained that in January, Ghana Gas contacted the lead operator and discussed the planned shutdown but since they dealt directly with VRA, Ghana Gas was also making arrangements for the supply of crude oil before the said date. Ghana Gas, Dr Yankey said, had initiated moves to ensure that apart from any serous technical issues that would require an emergency shutdown, the three companies along the chain – VRA, Ghana Gas and Tullow – would work together in future shutdowns to prevent any operational disturbances.